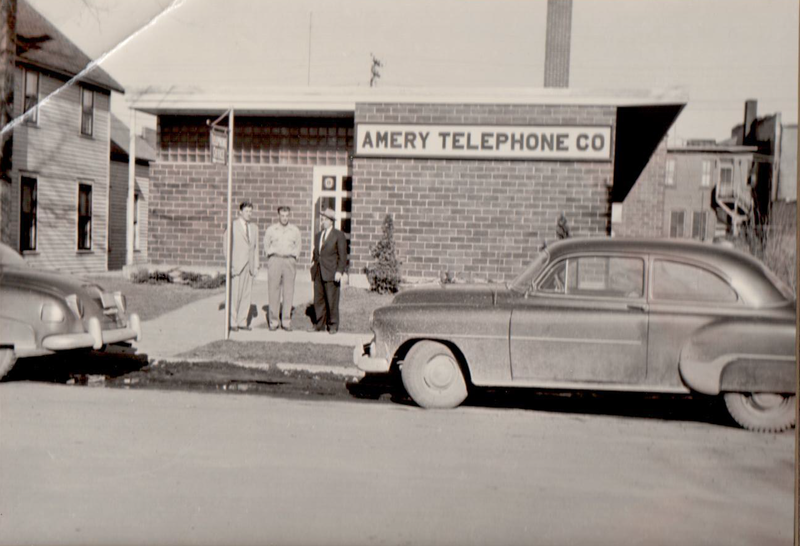 The Amery Telephone Company had its beginning in 1897, when three Amery businessmen decided the community needed telephone service. 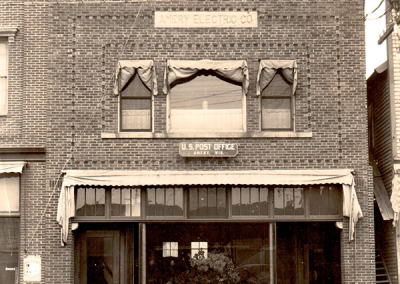 By the end of the first year, Amery Telephone Company had 31 town and 4 rural subscribers. 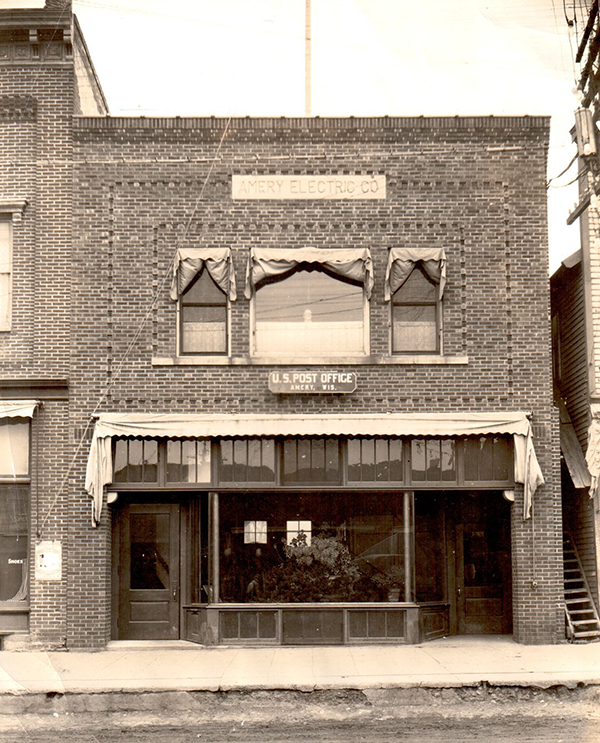 In 1902, the company reorganized into a corporation with the new name, Amery Electric Company, which provided electricity along with telephone service. George F. Griffin, the first President and General Manager of Amery Electric Company, was an ambitious, community-minded man. In addition to his work at the company, he was Amery’s first postmaster, first fire chief, and village president. After 1905, with assistance of Amery Electric Company, many small rural telephone companies were formed by area farmers. The rural companies were referred to as “switchers” and all of the lines were built by farmers, who bought a switchboard service from the Amery Electric Company. In 1919, Amery Electric Company sold the electrical franchise to devote full time to the development of the telephone business. George F. Griffin died in 1937, and his wife Minnie R. Griffin managed the company until 1943. At this time, their son H. N. Griffin headed the firm until his death in 1955. 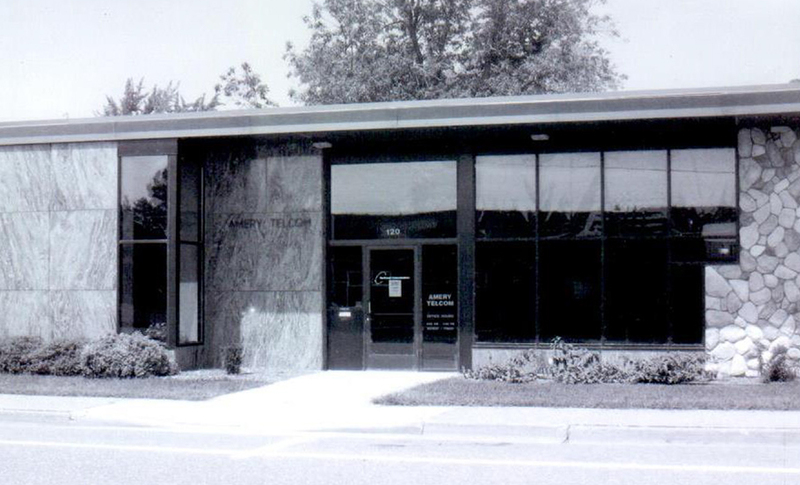 In 1944, Amery Electric Company changed its name to Amery Telephone Company. In order to be more efficient and to better serve Amery and the rural communities, the small rural telephone exchanges of the area were merged into the parent company. These acquisitions continued through 1954. A new generation began managing in 1955. George F. Griffin became president after the death of his father. Like his grandfather, the younger Griffin was progressive and extremely dedicated to the surrounding communities. Throughout the years, he served on many community, state, and national organizations and was mayor of Amery from 1962 through 1973. Over the years, the desire to constantly improve service for all subscribers brought many changes. In 1955, mechanical dialing equipment was installed, making possible 10-party service. 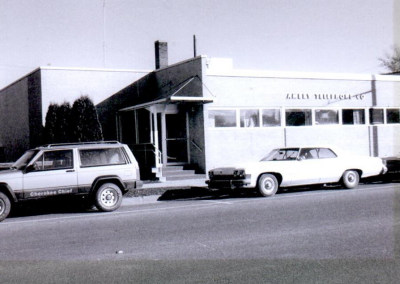 Clayton Rural Telephone Company was purchased by Amery Telephone Company in 1958. 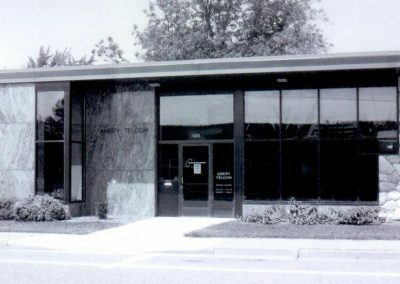 In1963 a switchboard was installed and the Amery exchange converted to 1-, 2-, and 4-party, one of the first independent telephone companies in the state to provide this service. 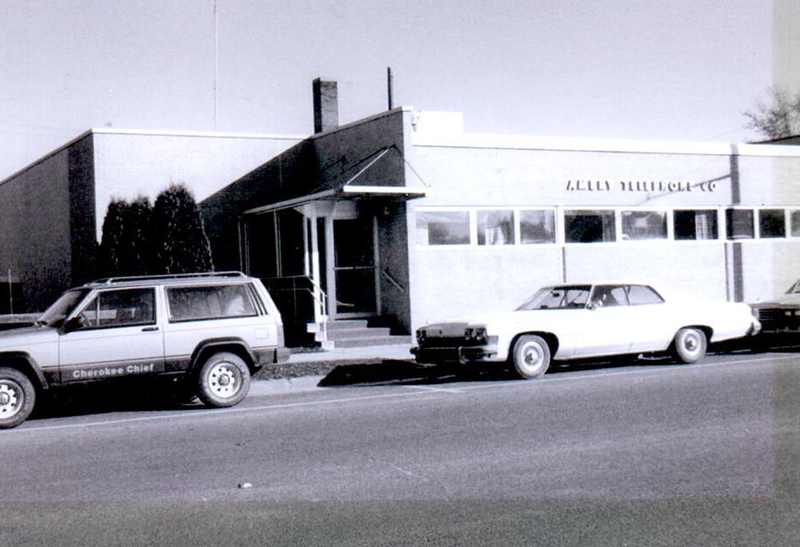 In 1965, the 3,000th telephone line was installed, and in 1966 direct distance dialing became available in the Amery exchange, with Clayton and Deer Park following two years later. 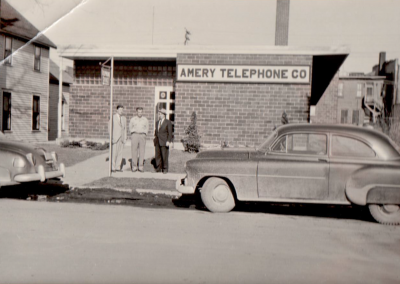 The Amery Telephone Company has continued to evolve into a sophisticated, high-tech industry. In 1983, the Company formed Northwest Community Communications, Inc., a wholly-owned subsidiary of Amery Telephone Company, which offers cable television services. As of 1989, Amery Telephone Company shortened its name to Amery Telcom, Inc. 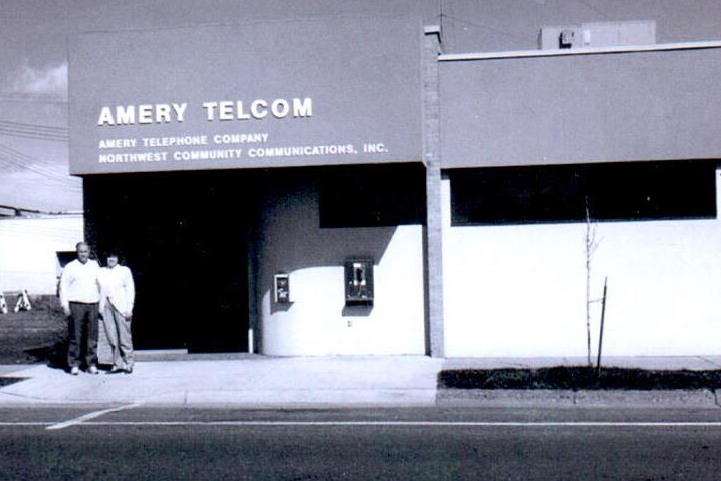 In 1997, Amery Telcom, Inc. purchased Somerset Telephone and assumed operations of the neighboring town’s telephone and cable TV services. 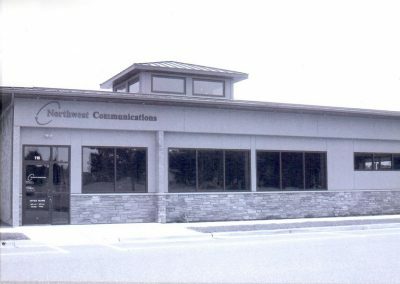 Today Amery Telcom, Inc and its subsidiaries all operate under one unified name, Northwest Communications, and provide phone services, high speed internet, and high definition Cable TV throughout our service area.